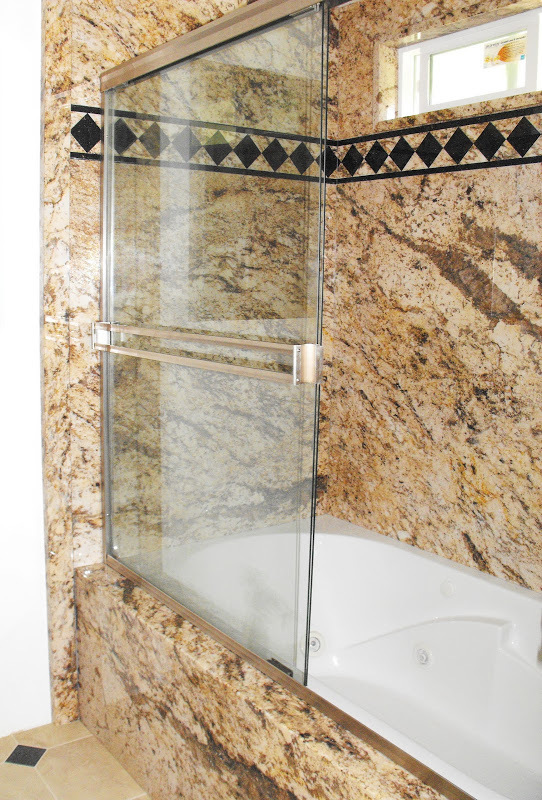 New Gallery | Beautiful Baths | Remodeling Made Easy! 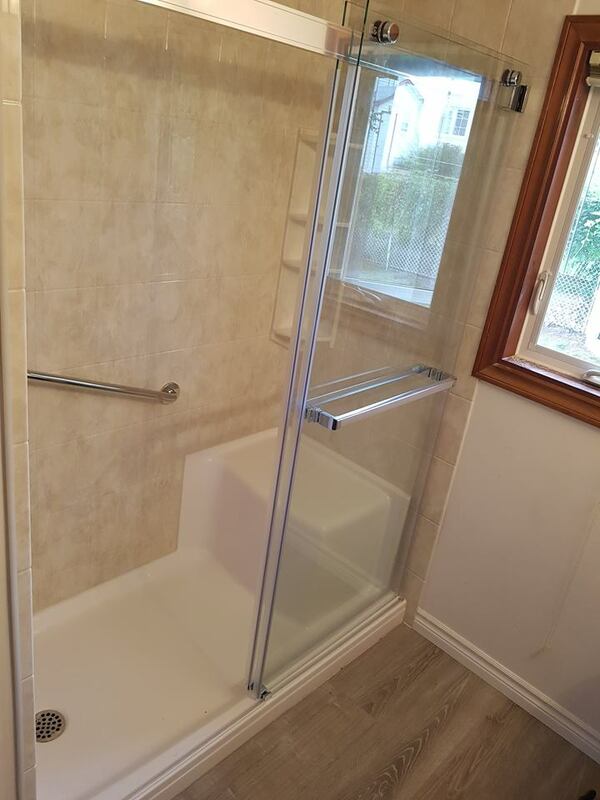 Most of our renovations are shower and tub updates. 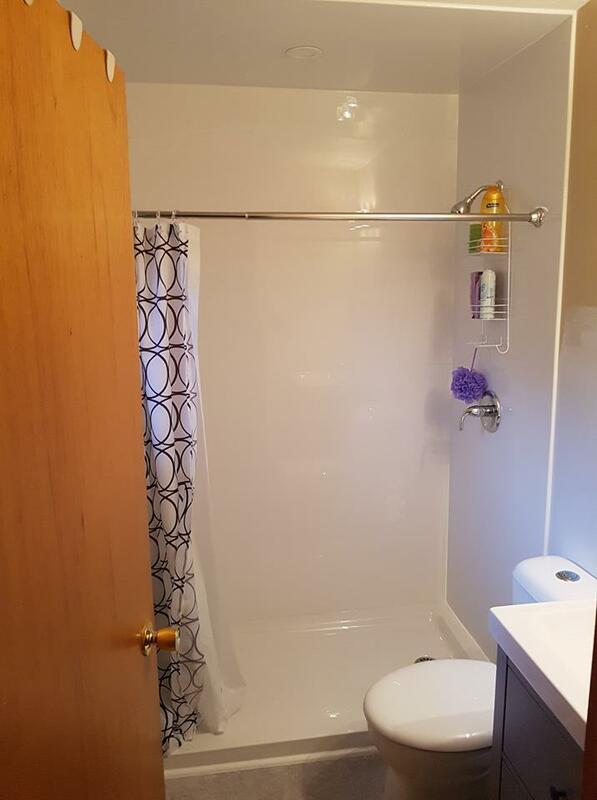 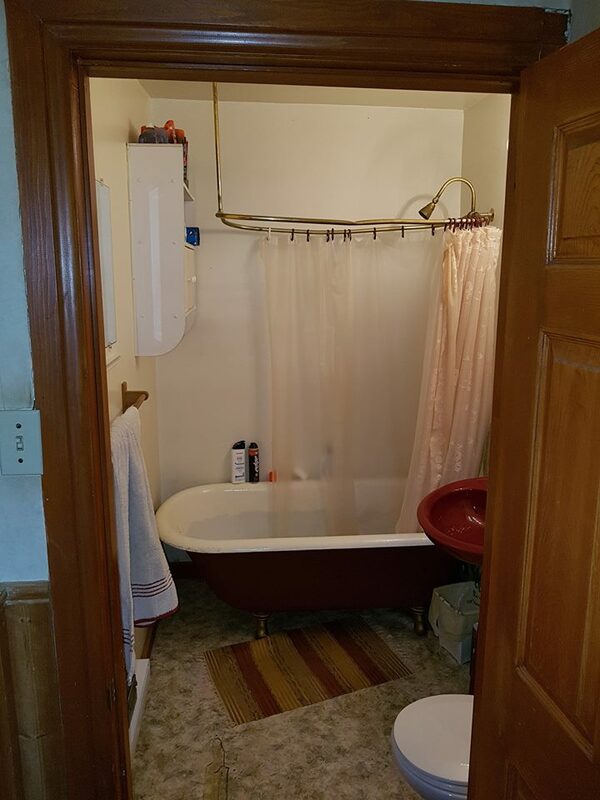 These might include removing the old tub surround or tile as well as the tub and then re-installing a new tub, walls & surround and possibly faucet and shower. 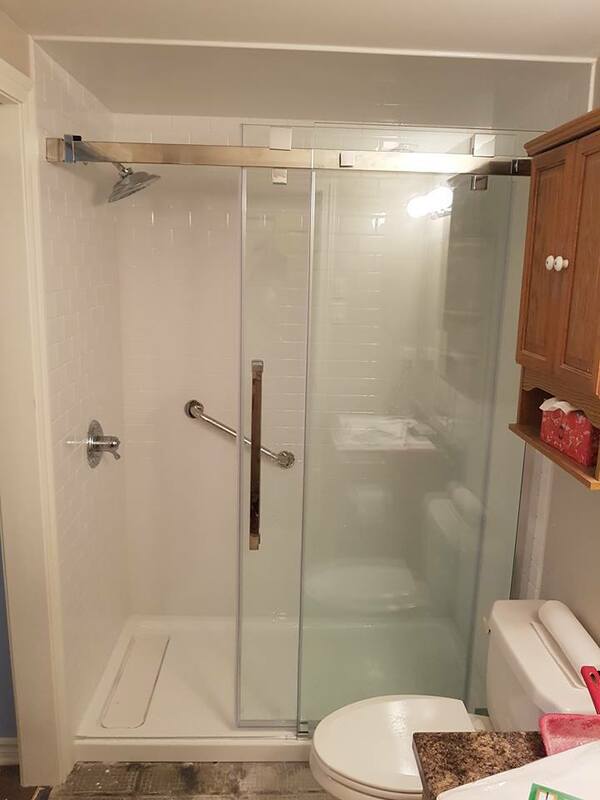 These types of projects are most often completed same day. 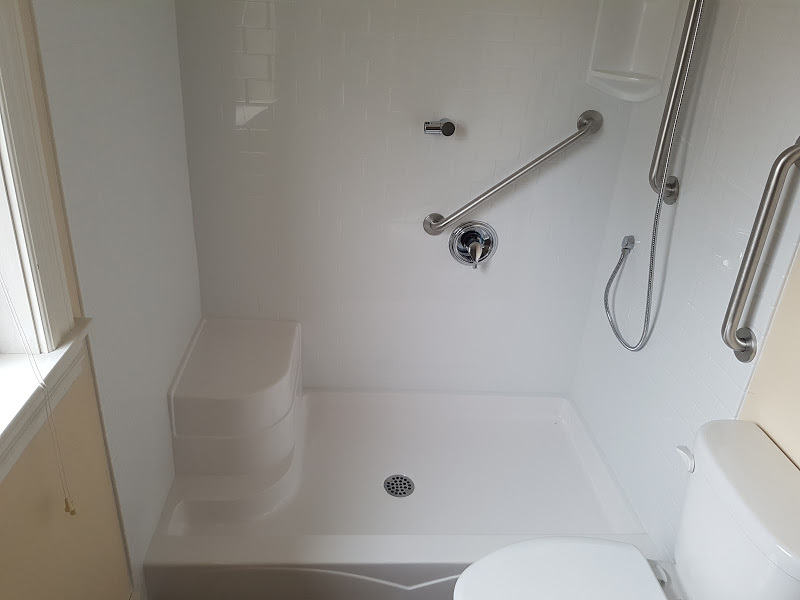 take a look at some of our recent completed jobs in the gallery below. 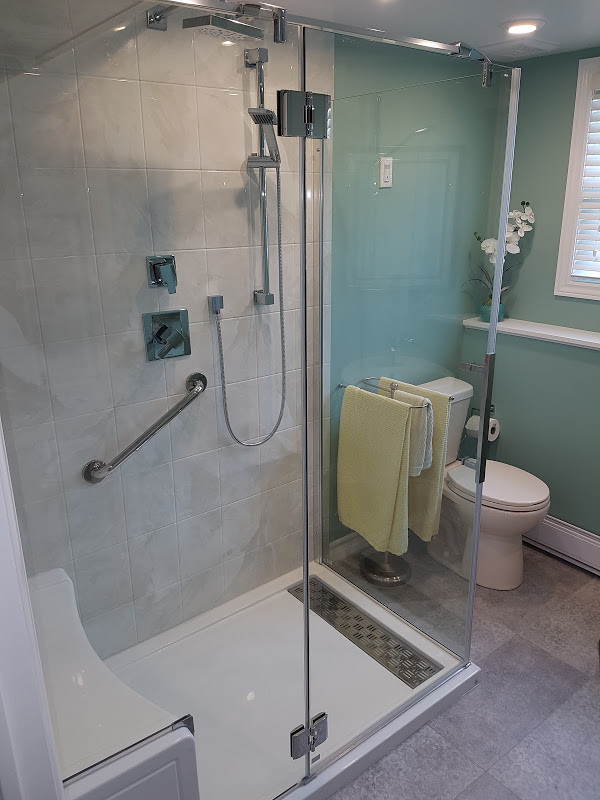 Accessibility renovations or conversions of tubs to showers is become very popular. 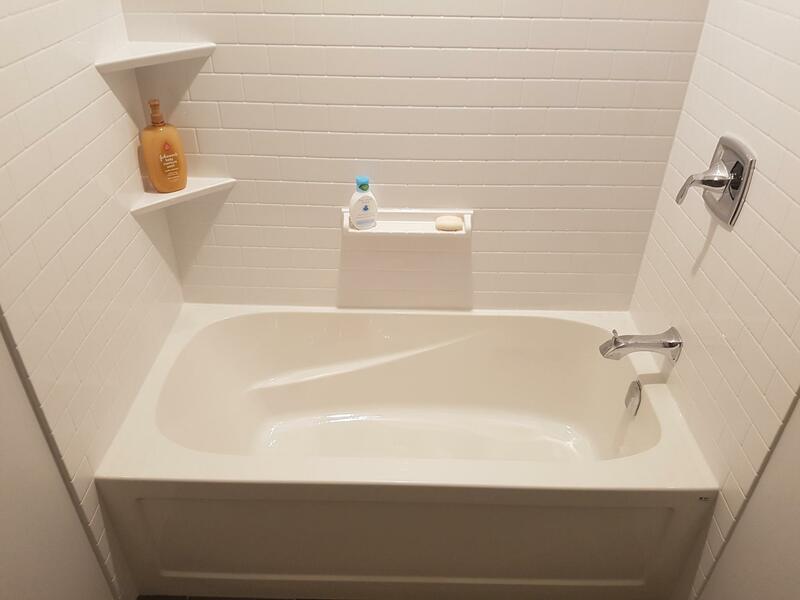 More homeowners opt to stay in their own home rather than downsize after the kids leave. 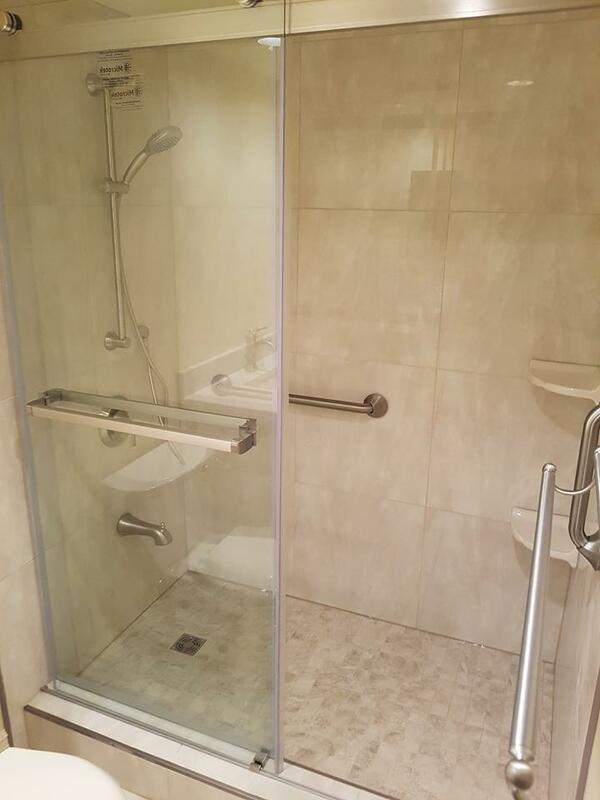 However mobility can sometimes become an issue. 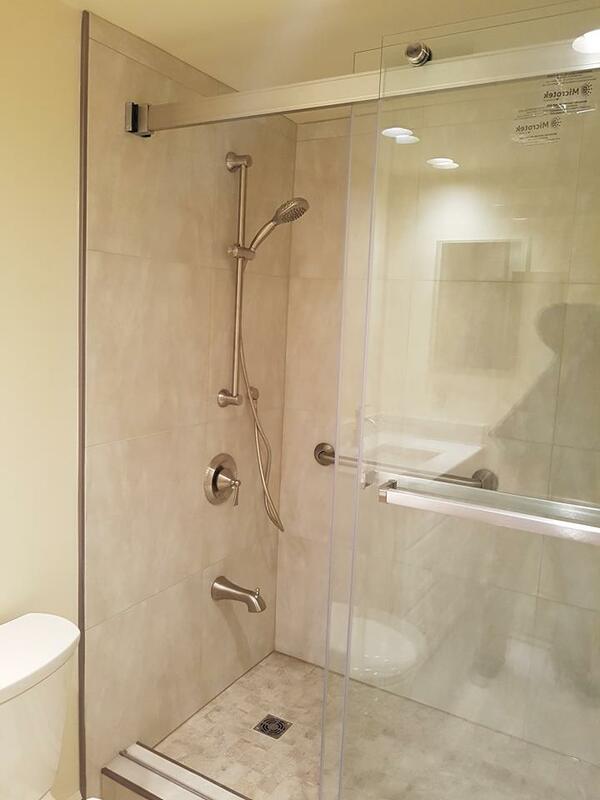 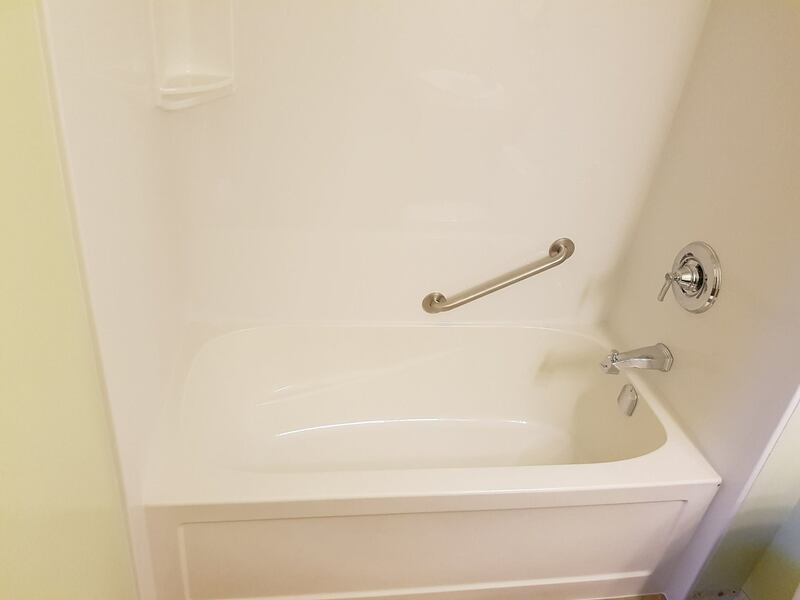 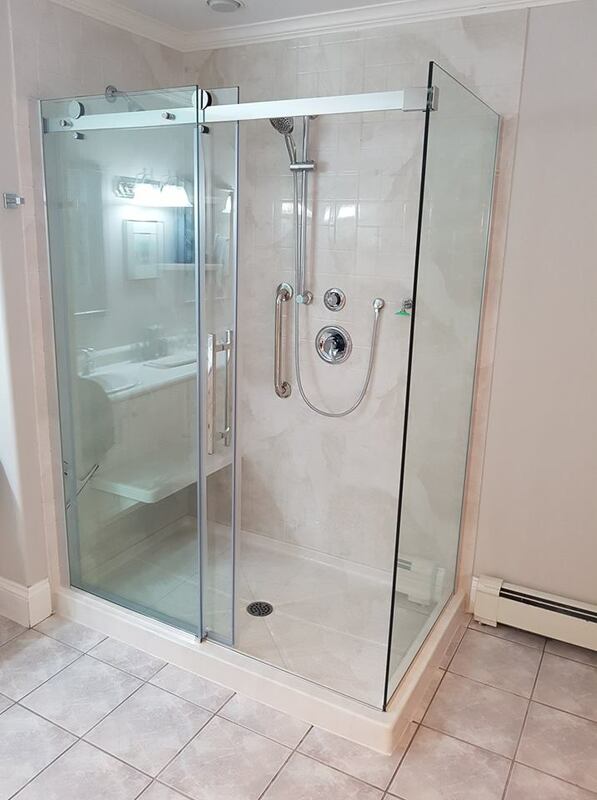 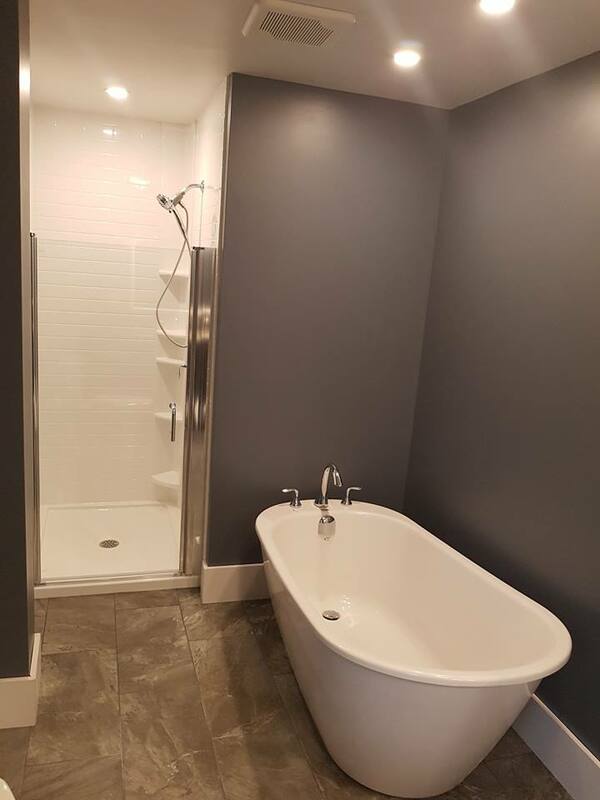 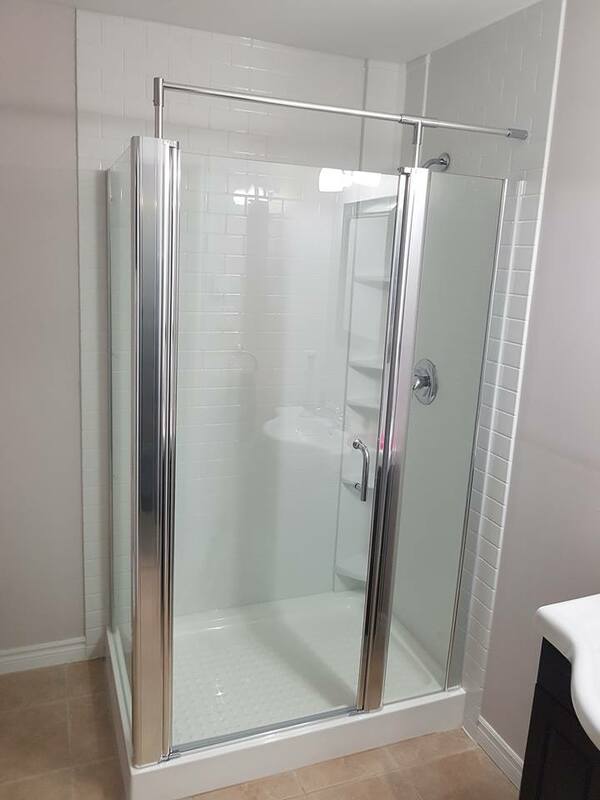 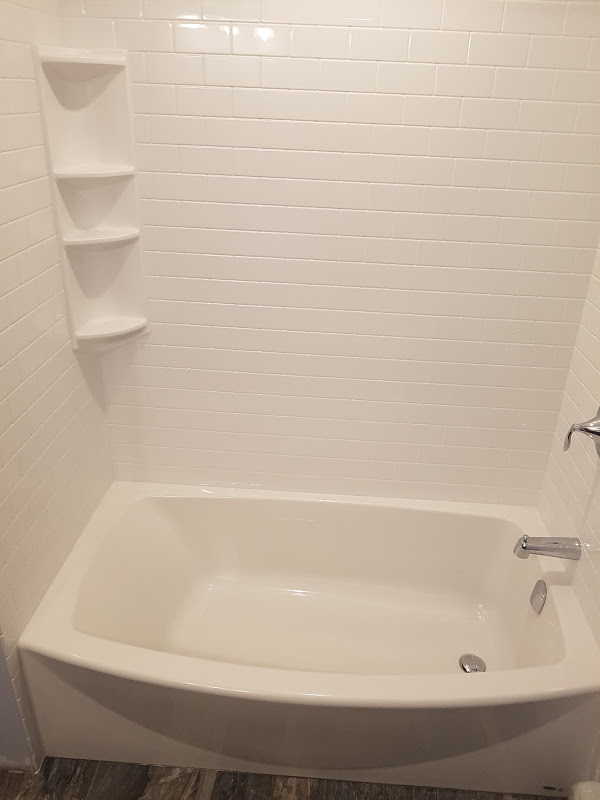 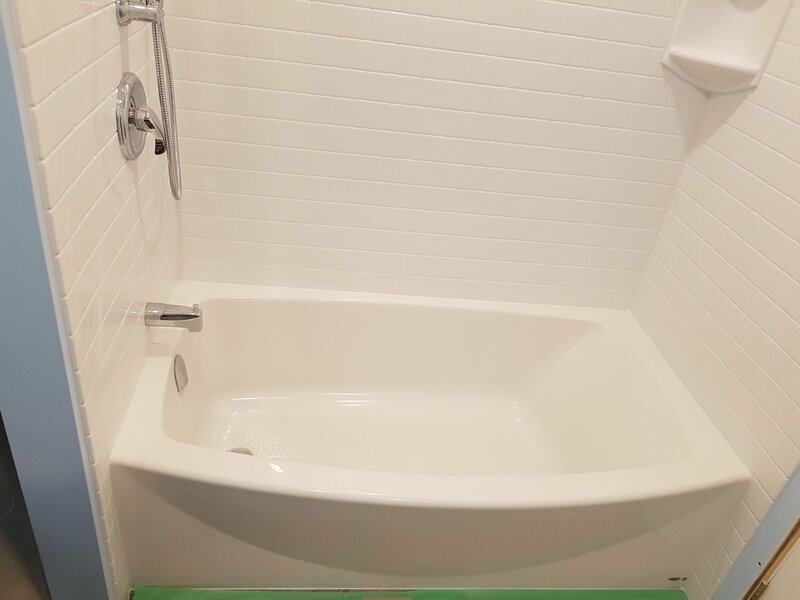 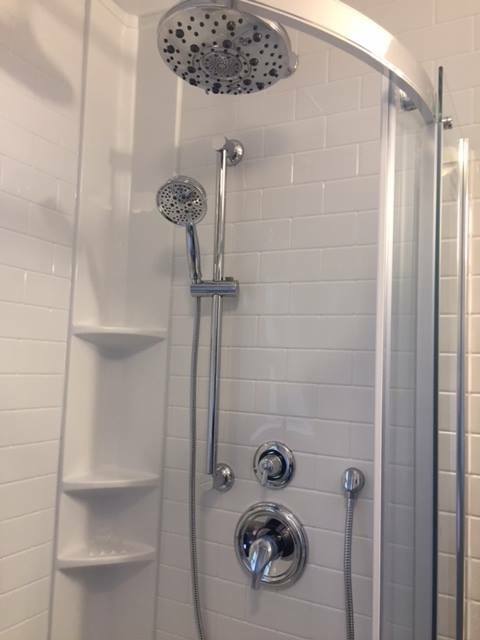 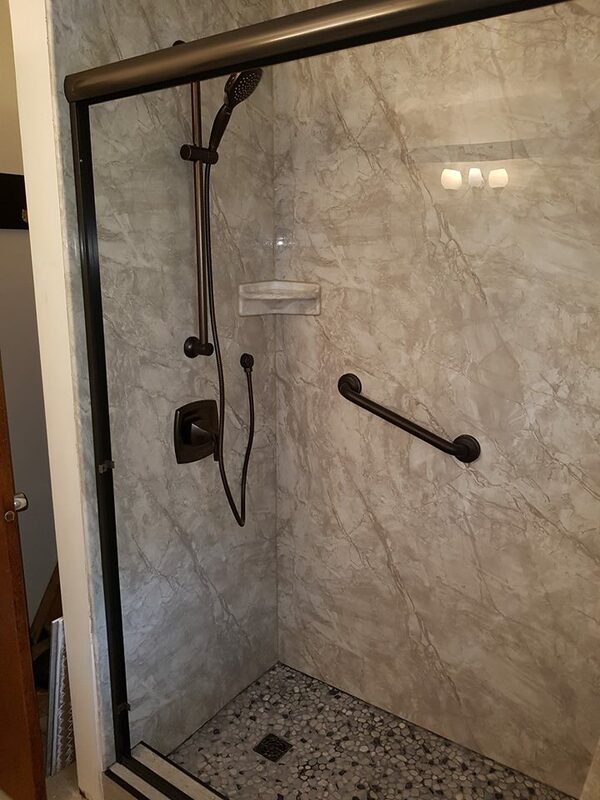 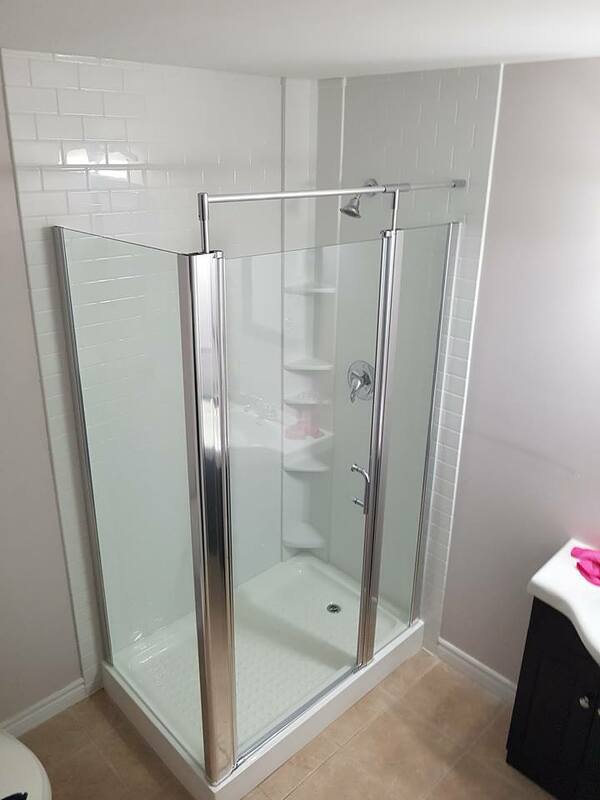 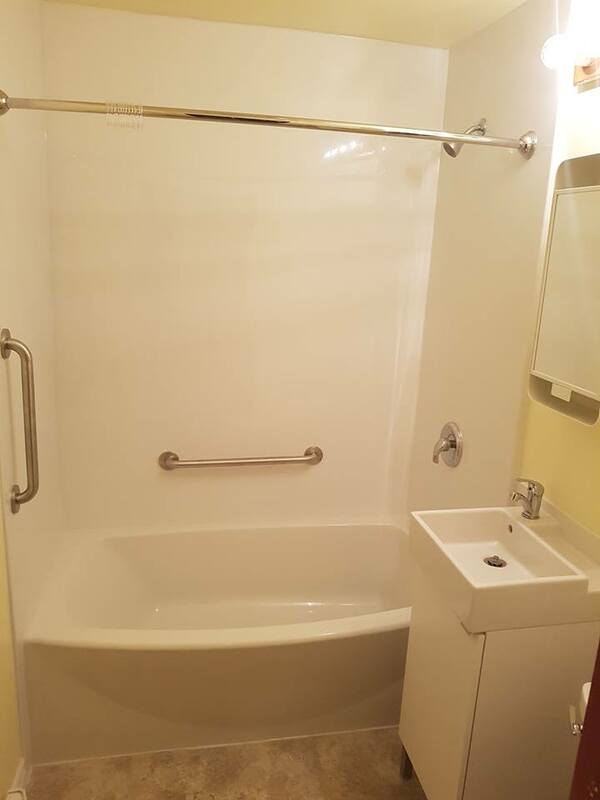 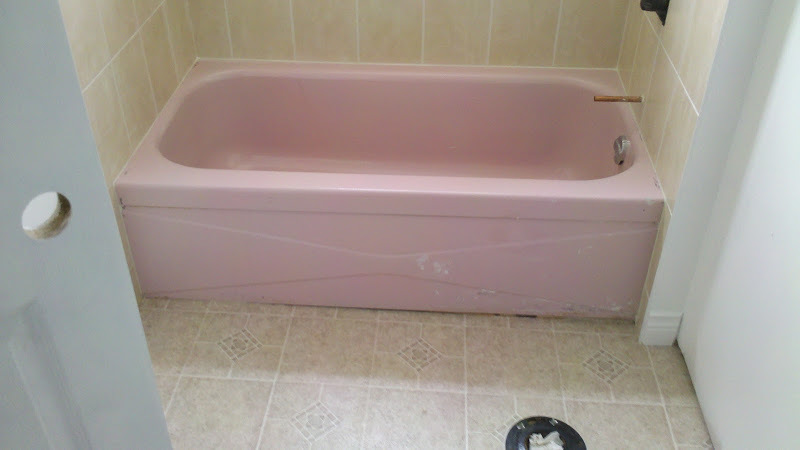 We remove tubs and install floor level showers with grab handles, benches and more. 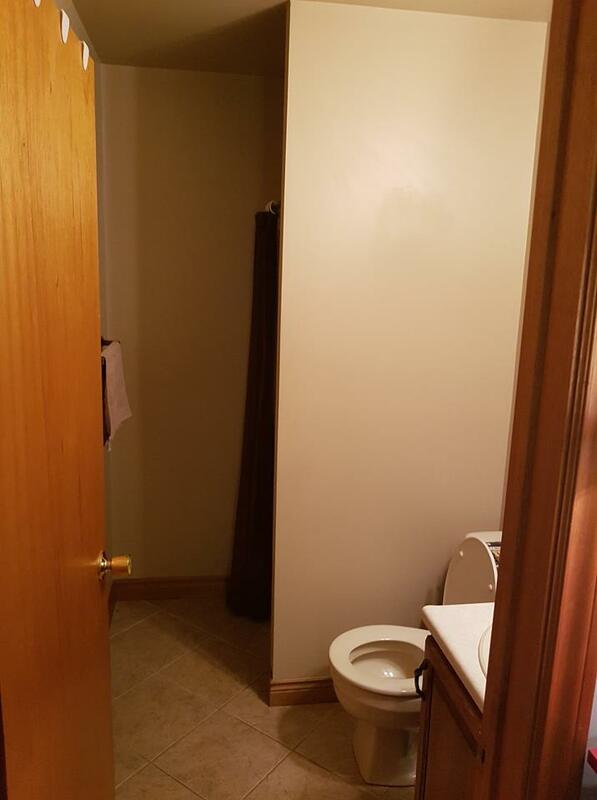 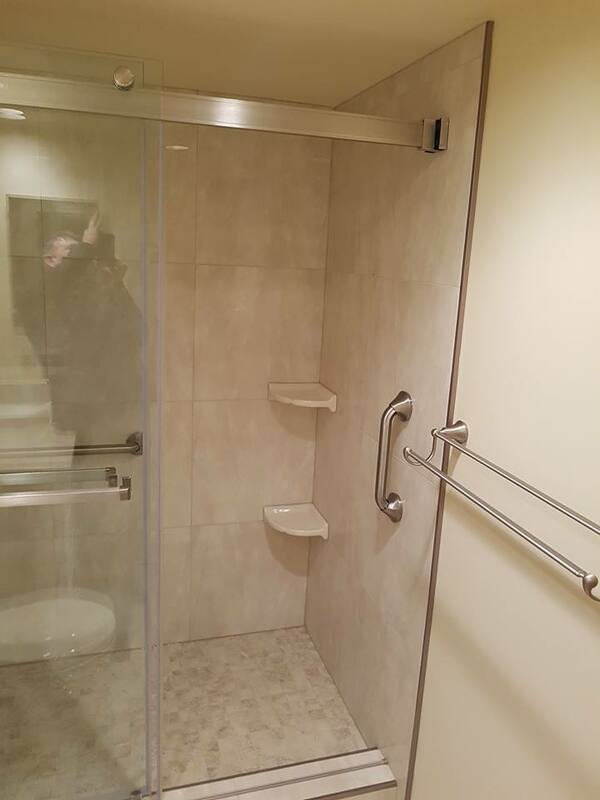 Some of the shower renovations we complete are not accessibility updates. 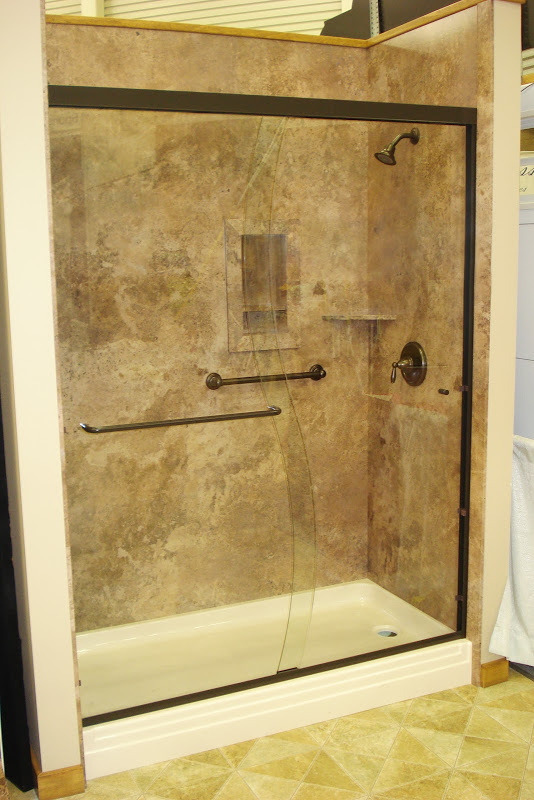 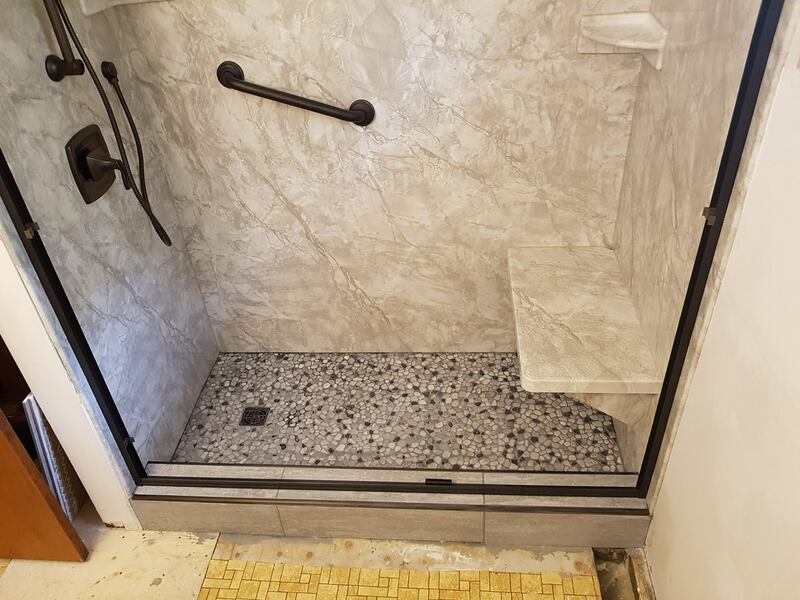 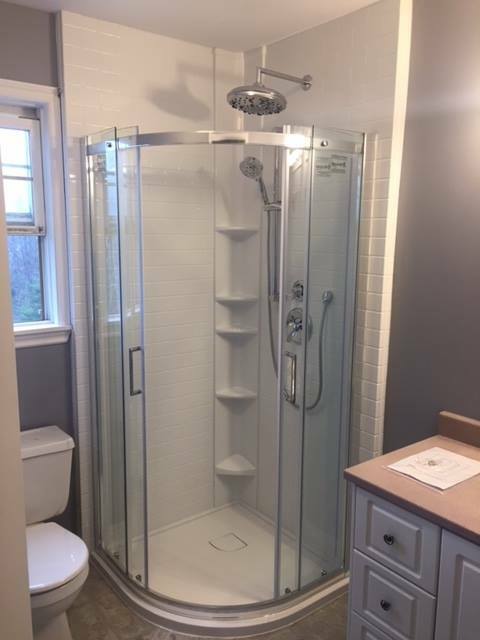 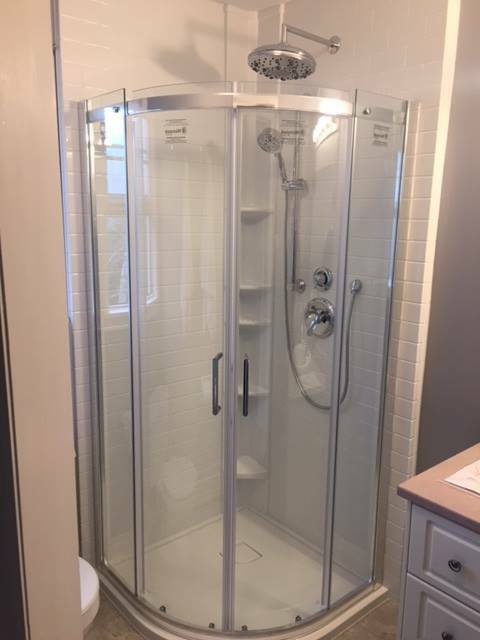 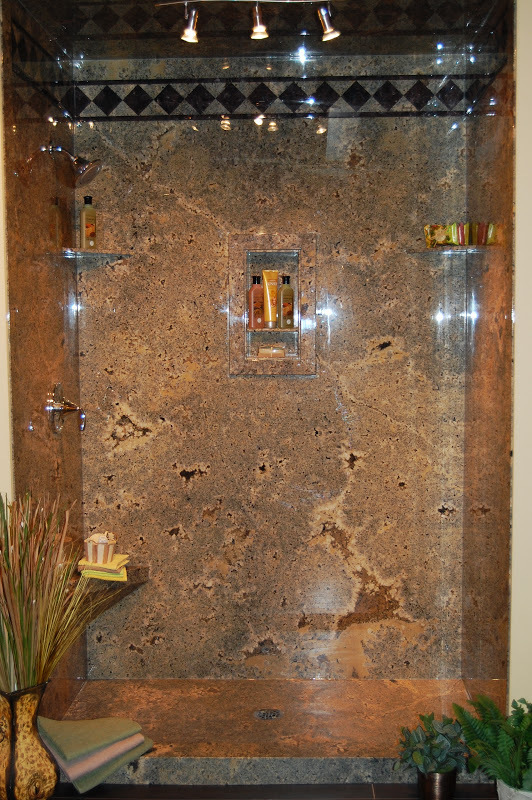 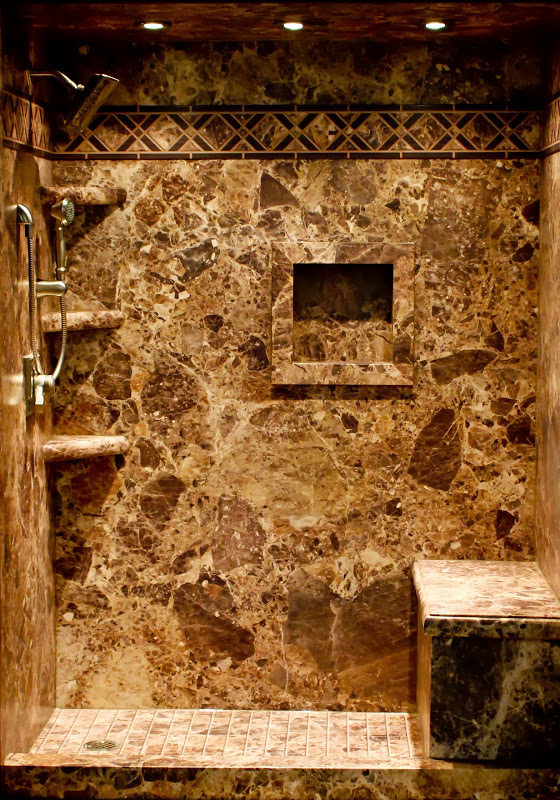 Often we install a new shower or update an old shower only bathroom. 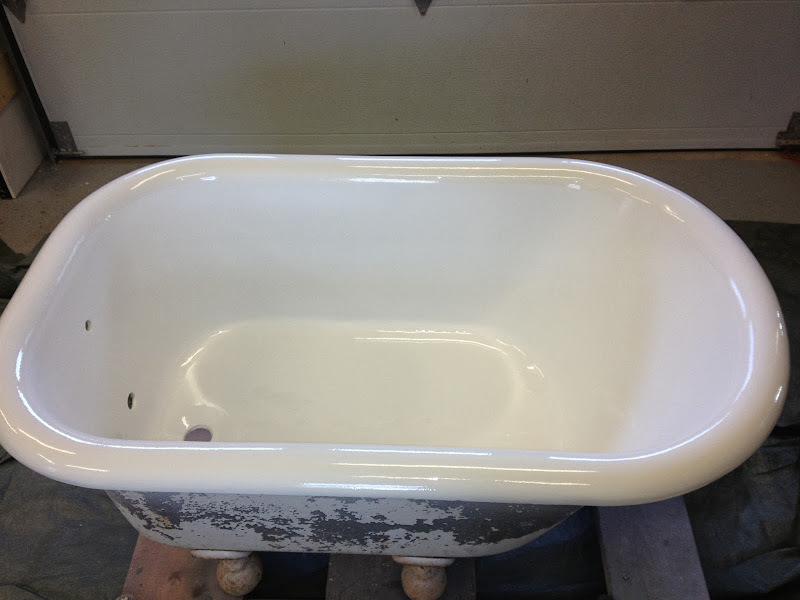 Do you have and old steel bathtub that's colour is stuck in the past? 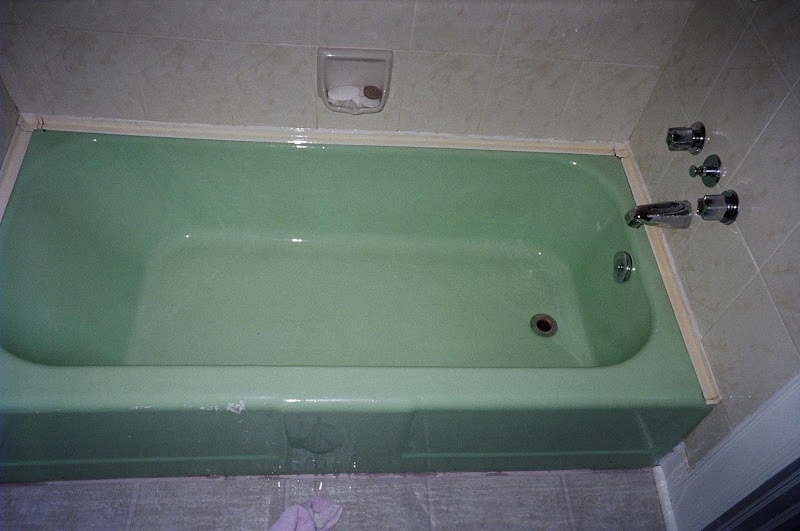 Often times you don't want or need a deeper tub, but the green, beige or blue colour just doesn't fit your style any longer. 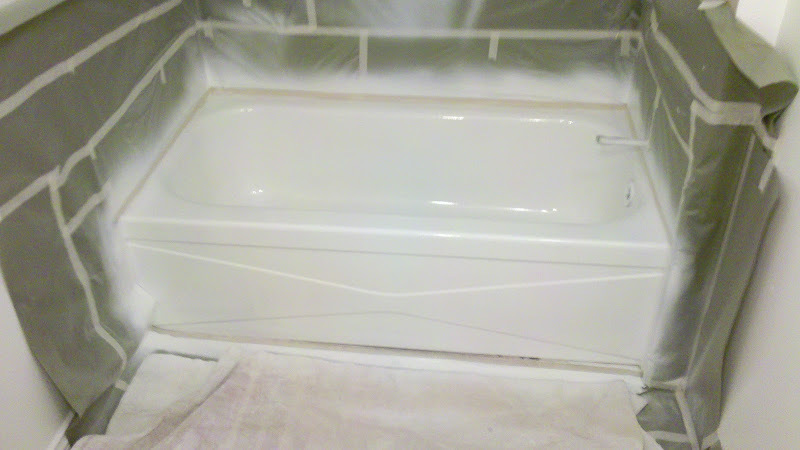 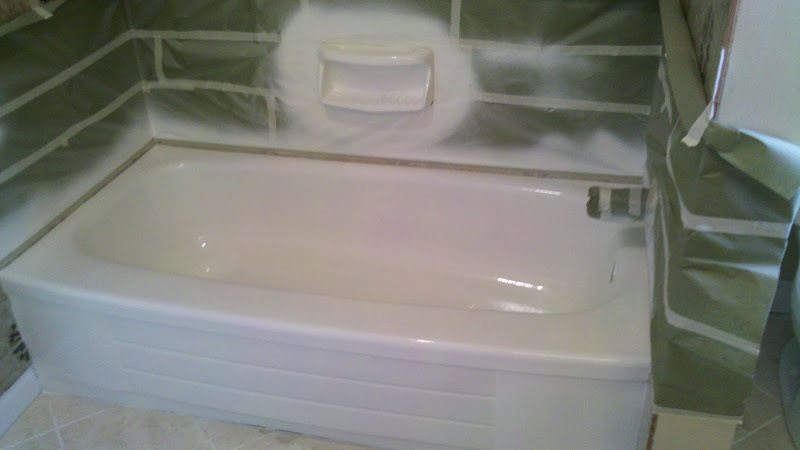 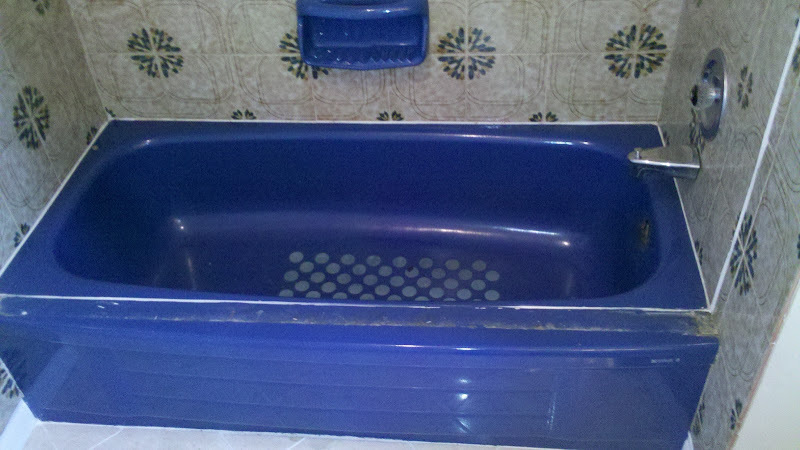 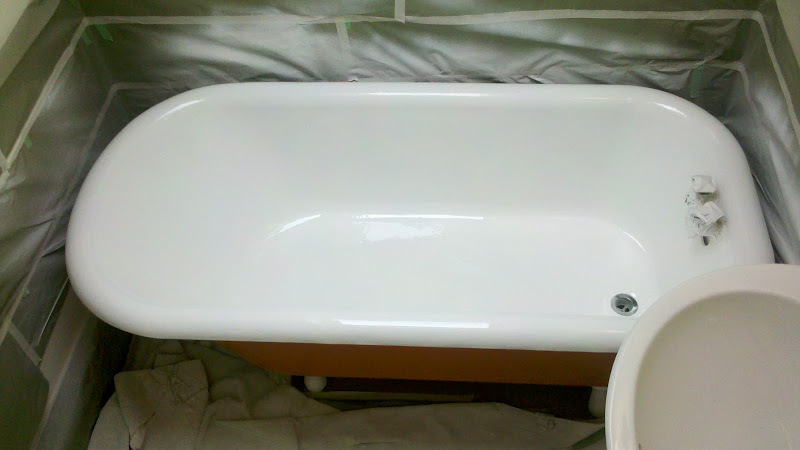 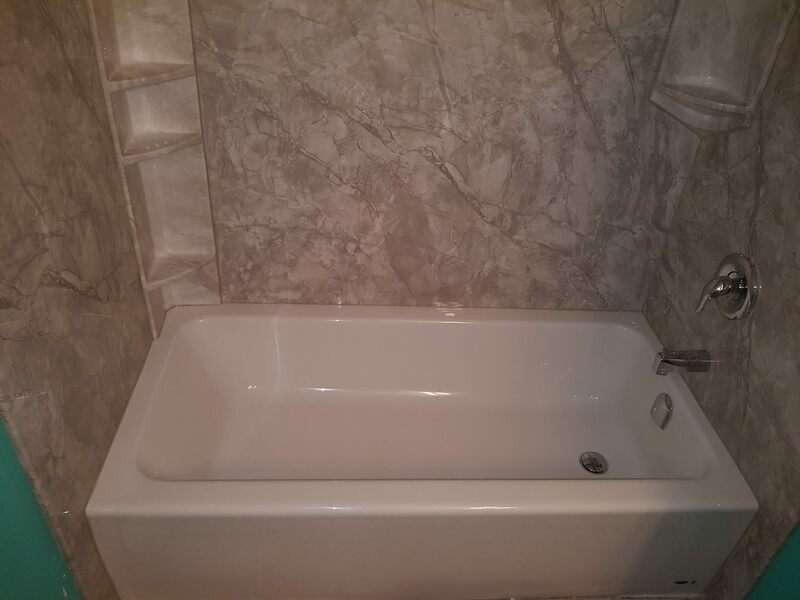 We provide complete bathtub refinishing in your home. 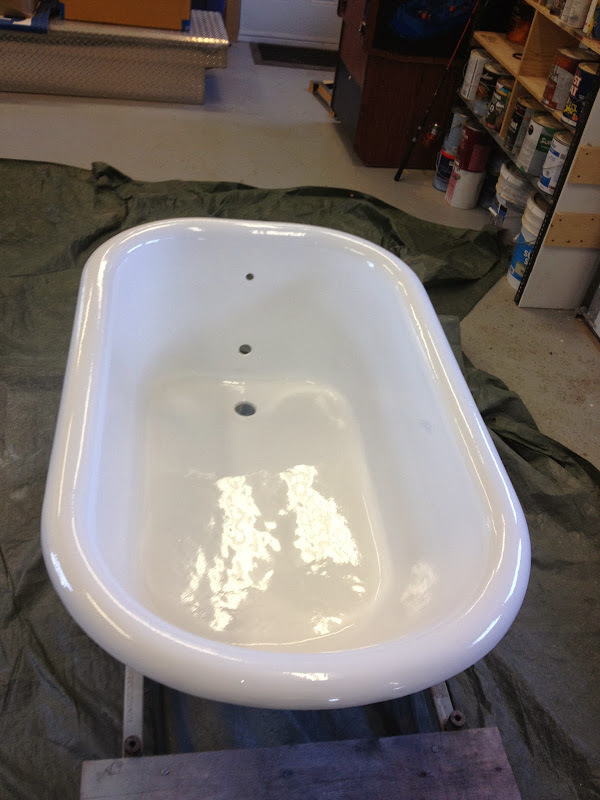 Change that old colour to a neutral white or repair old chips or water stains. 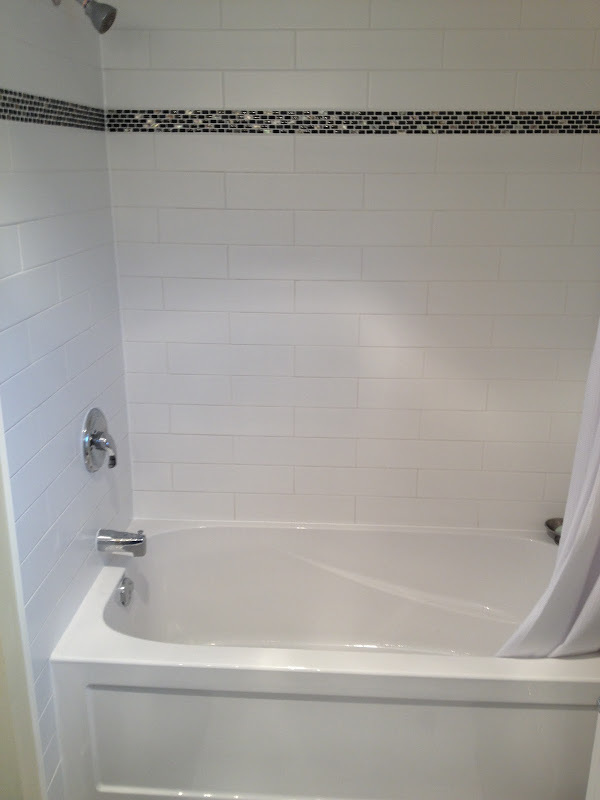 Bathroom renovations vary depending on the particular design choices and requirements of your home's bathroom. 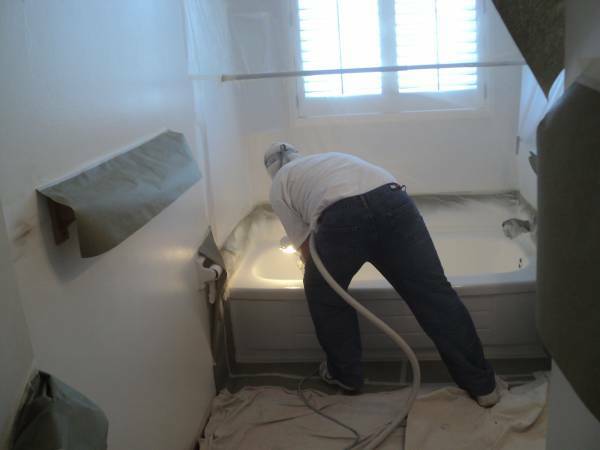 This chart is a quick reference guide to typical renovation costs. 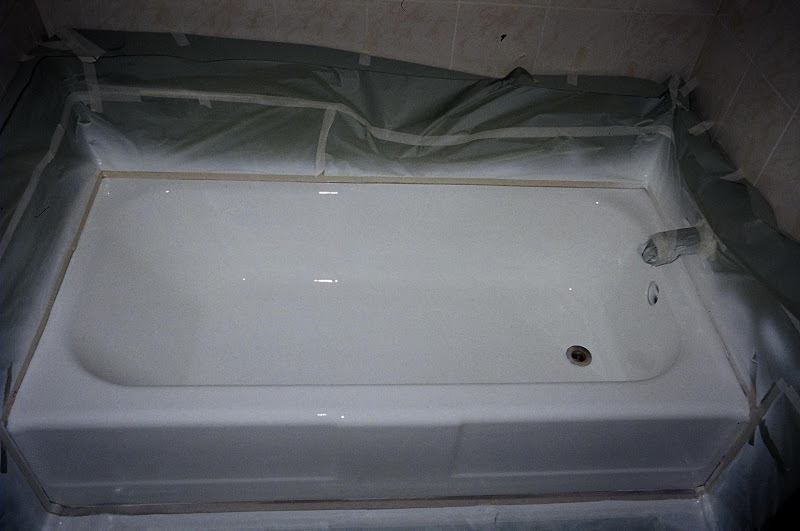 To get a firm quote book a free in-home estimate. 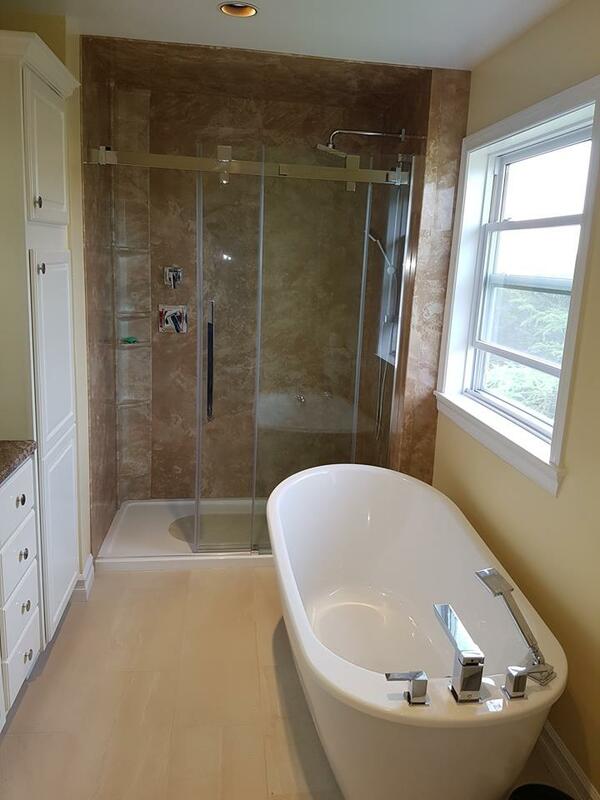 We will plan your renovation with you to make your bathroom dreams into reality. 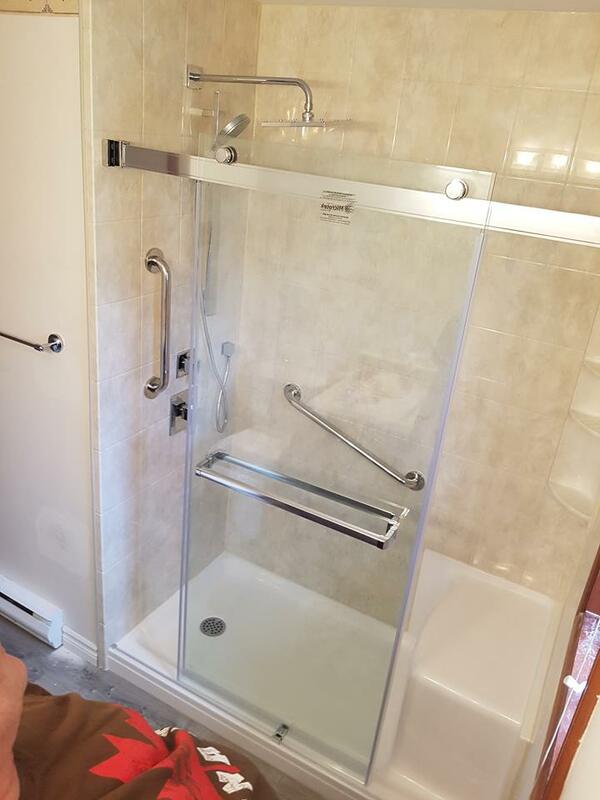 We have done many renovations focused on increasing accessibility for Nova Scotians with mobility concerns. 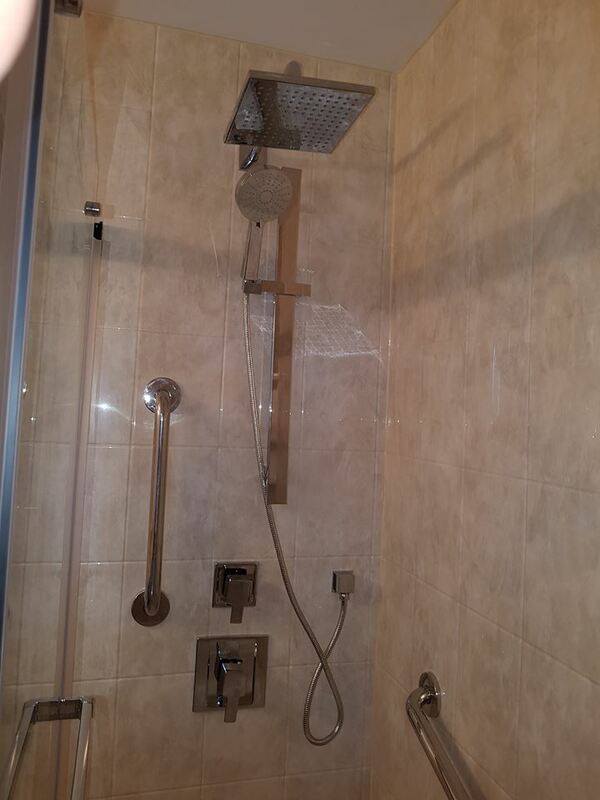 We can install new fixtures or convert existing tubs and shower in to increase ease of access.